Getting in superfoods can be a tough thing.... especially when it comes to kids. Hiding them in a smoothie is always my best bet. What is a superfood? Great question. All it really is, is foods that are considered to be nutritionally dense and thus good for our health. For example, flax seed is considered by some to be the original super food. This little seed is packed full of omega 3s, fiber, B vitamins, and antioxidants. This smoothie also has turmeric, which is gaining a reputation as a superfood. I love it so much I include it in my daily life. Just look for it on your spice aisle. Not to mention is also has coconut, cinnamon and hemp seeds. A quick note on cinnamon. Next time you run out of cinnamon buy Ceylon Cinnamon. This is similar to the cinnamon you buy at the store in taste, but totally different in health benefits. It has cancer fighting properties, has been used in diabetes treatment, and is known to lower blood pressure. Basically this smoothie is loaded down with nutrients for you and your kiddos. This is basically a snack that becomes an activity for your kids. I love doing them. It keeps them entertained, helps them be more adventurous with eating, and keeps snack interesting. Check out the hashtag #simplywholesnactivity on Instagram for all my ideas. 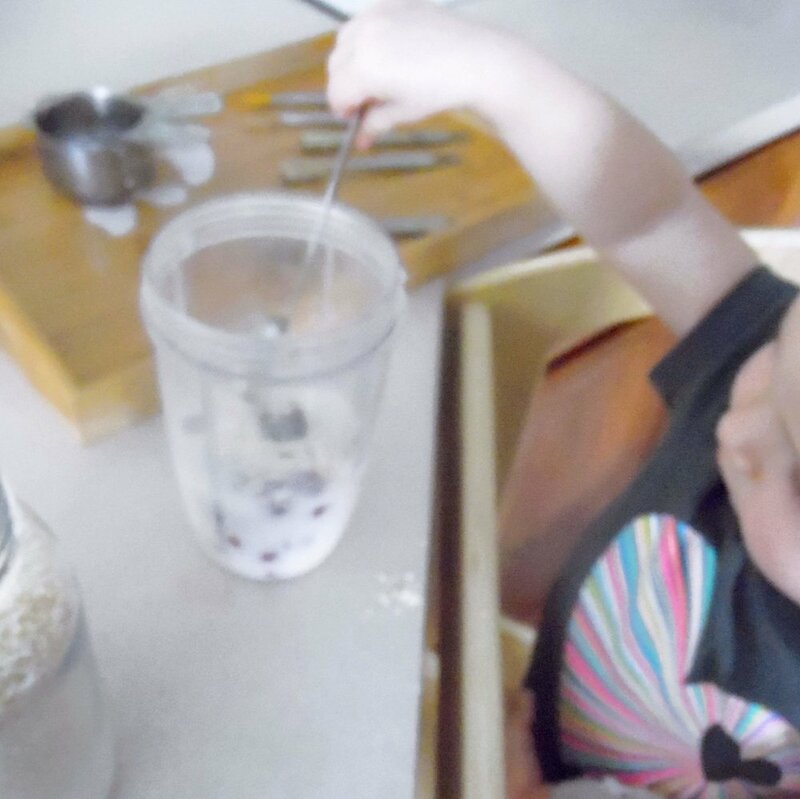 This recipe is so fun for my kids because they LOVE scooping and dumping. I let my 18 month old do all the "dumping" and she had a blast. Using all the measuring spoons in the set sure did make her happy! 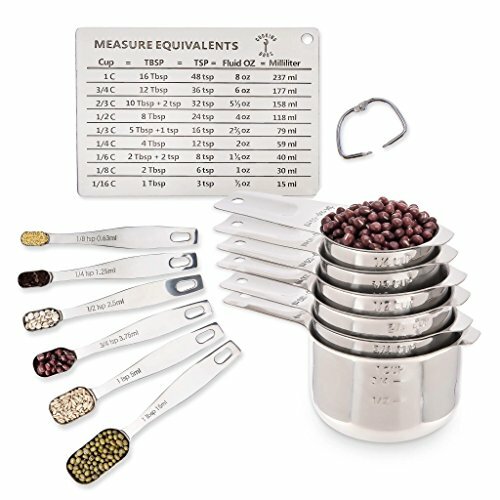 This is my go to set of measuring spoons and cups. I love them! For a few reasons. The shape of them is perfect to fit into all my spice jars and containers. They also have the half sized measurements. I use to HATE it when a recipe called for 3/4 a cup, and I would have to dirty two cups. Not anymore! another thing I love is that they are metal and the kids love using them. I think it it because they are loud when they hit together! Last reason (I promise) the bottoms of them is rounded. So almond butter (or whatever) doesn't get all stuck in the corners. This recipe is: Paleo, gluten free and dairy free. Serving size: two smoothies or one for you and two little servings for the babies.